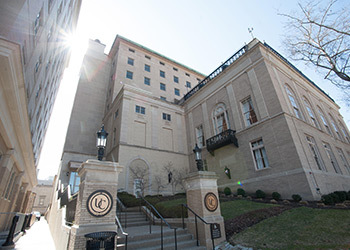 We invite you to preview the unique and inviting rooms we have here at the University Club. The entire building has recently undergone an extensive renovation and the highest standards and specifications were taken into account in preserving the historic architecture while incorporating the newest available amenities. Any of the rooms can be utilized together to create a custom event tailored to your needs and preferences. We understand that everyone’s event is unique; allow our dedicated on-site sales associates help plan your perfect event. Contact us for more information on hosting your social event at the University Club.